Tiger Shroff's younger sister, Krishna Shroff, isn’t interested in acting. “When it comes to acting, I have always been very clear from the beginning that it’s not something that intrigues me. I am not the one to face the camera... I am a very private person,” Krishna said. 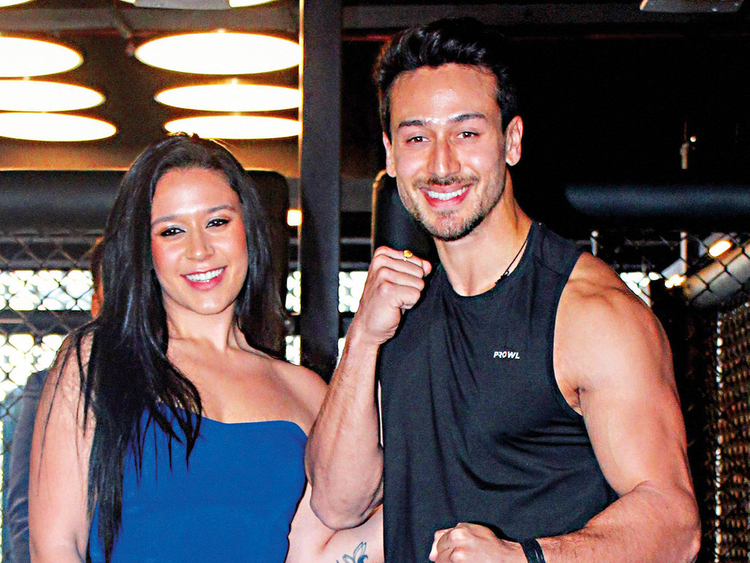 Krishna, daughter of actor Jackie Shroff and Ayesha, was speaking at the launch of MMA Matrix Gym along with her brother Tiger and mother on Thursday. Krishna has earlier worked as an assistant director in Tiger’s Munna Michael. After Tiger’s entry into Hindi films, there were reports that Krishna is also going to join films and her Instagram pictures also tells the same story, but she says otherwise. “I like my own zone and I like being in my own space. I have a couple of friends that I have known for almost 20 years now and it’s just me and them in my own little bubble,” she added. “If I am not passionate about that one thing then, I won’t give it my 100 per cent. I am a very competitive person, so if I know that I can’t give my 100 per cent to something, then I am not going to be the best at it and that’s when I just refuse to do it,” she added. Asked if she follows Mixed Martial Arts in her regular life, she said: “I have been following the sport for many years but I just started practising recently. It has really empowered me. More than feeling confident about my physical capabilities, it really has helped with my mental strength and as a woman, it empowers you to feel that you have an upper hand to protect yourself anywhere in the world”. Krishna said that her brother Tiger is her biggest inspiration. “I actually love working out with him. We both share the same passion about fitness. I find my motivation through him. He is one of my biggest inspirations since we were kids. I always strive to be as good as him. If you are living with him every day and you don’t feel inspired and motivated then, there is something wrong with you,” she said.